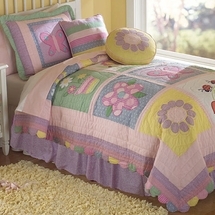 Laurens Linens family business has been providing a wide selection of kids’ bedding since 1977. Whether you’re looking for kids bedding, crib bedding, something more sophisticated for the college dorm, or anything in between, Laurens Linens offers competitive prices with a wider selection of in-stock merchandise than your standard department store. 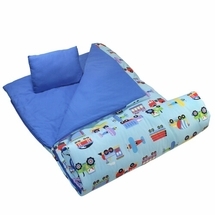 Our range of bedding collections includes boys’ bedding, girls’ bedding, sports bedding, teen bedding, toddler bedding, crib bedding and children’s preschool bedding. Looking for an all-in-one package? Try a bed in a bag, complete with comforter, matching sheets, pillow cases, and pillow shams. 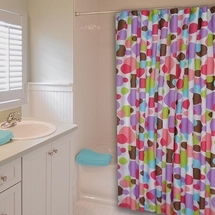 Our selection includes a variety of patterns, colors, and popular characters from your child’s favorite TV show all from a variety of top manufacturers. Laurens Linens also offers sleeping bags, kids lamps and night lights, kids’ room décor, mattress pads, and other kid's accessories to make their room stand out. 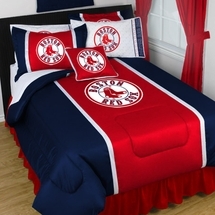 Kids Bedding for Boys and Girls of all Ages! 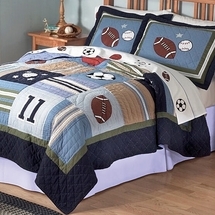 At Laurens Linens, we also specialize in designer kids’ bedding, from top names such as JoJo Designs, CHF Industries, PemAmerica, Westpoint Juvenile, Jay Franco, Franco Manufacturing, Beatrice, Texstyles, Olive Kids, and many more. Shop from the comfort of your home with your child any time of the day on our 100% secure website. 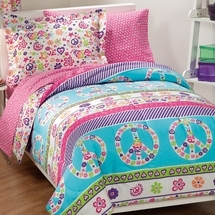 Laurens Linens is sure to provide you with the bedding collection your child will love and cherish. If you need further assistance or wish to place a phone order, call our toll-free number 877-233-2284 to speak with a professional, friendly Laurens Linens representative. When choosing children's bedding, the most practical choice for generic styles is to purchase a complete bed in a bag set. With this choice you know that everything will match perfectly, be of the same quality and it usually allows for significant cost savings. 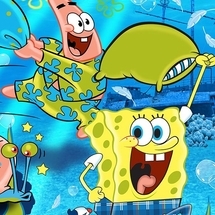 Most character bedding (Batman, Barbie etc)is sold as separate entities, usually with just the comforter and sheet set alone, while drapes, valances and pillows are each available as accessories. 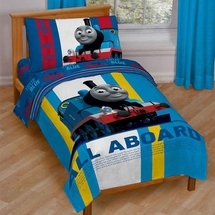 If you are buying kid's bedding that you expect to have for a number of years, it is wise to buy an extra set of sheets with your original purchase. Children's patterns change rapidly and since the sheets will be washed much more often than the comforter, they will show wear sooner and may be impossible to replace at a later date. Comforter: Comforter alone, no other components. Comforter Set: Comforter, Bed Skirt, Pillow Sham/s. Quilt: Lightly quilted bed covering similar in size to a comforter but with less filling and often made of cotton. Quilt Set: Generally refers to a quilt with matching Pillow Sham's. Toddler Set: Usually a 4 piece set including Toddler Comforter, Top Sheet, Bottom sheet & 1 Pillowcase, all designed to fit a Toddler Mattress (same size as a crib mattress). Percale: Sheets with a thread count of 180 or higher. Muslin: Sheets with a thread count of 128-179.